The USA&apos;s 50th state consists of an archipelago of 137 islands in the Pacific Ocean and forms the northern tip of the Polynesian triangle. The islands can be visited all year round, although the months of March to November are particularly good for a Hawaiian Cruise. Discover the island of Oahu on a Hawaiian cruise. The 56 metre high Honolulu Tower in the state capital Honolulu is a platform with a fabulous view. And don&apos;t miss out on the 4 km long, world-famous Waikiki beach, which invites the visitor to swim, shop or just to relax. It&apos;s then on to Kauai. What the island particularly has to offer are numerous natural spectacles, such as the mystic cave of Fern Grotto. A visit to the Kilauea Point National Wildlife Refuge is an experience never to be forgotten. Take a Hawaiian Cruise and discover the many faces of the archipelago&apos;s main island, which also bears the name of Hawaii, and is sometimes known as Big Island. The city of Hilo will captivate you with its tropical flair and fabulous views from the 4214-metre-high mountain of Mauna Kea. And make sure you don&apos;t miss the trip to the breathtaking Hawaii Volcanoes National Park. 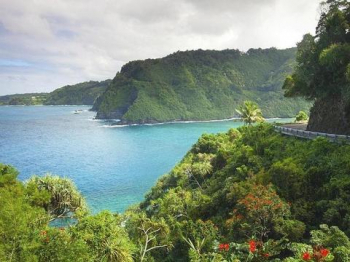 The trip to the island of Maui is a real highlight for nature lovers. Deserts of lava, tropical forests and mighty volcanoes like Haleakala - the island has something for everyone. With its many faces, the Hawaiian cruise is everything anyone could wish for. It doesn&apos;t matter if you are an adventurer, a nature lover or just want to recharge your batteries - this is one trip you will never forget!